Hi friends! Cauliflower Pulao/Pilaf is an easy recipe which can be prepared as one pot meal! Pulav/Pilaf, a rice dish consumed mainly in Central Asia, South Asia and the Middle East. Wash well and soak the rice in water for 30 minutes. Drain and keep ready. Wash the cauliflower florets well under running water. Drain and keep aside. In a heavy bottom pan take the cooking oil and place it on high flame. Add Bay leaf/Tej patta, Black cardamom, Cinnamon, turmeric ,powdered cloves and pepper. Sauté for few seconds , add garlic paste stir for few seconds . Add Cauliflower florets to these spices and sauté on medium flame for few more seconds. Add drained rice, salt and two tea cups of water. Bring it to a boil and reduce the heat. Cover and cook on the slow flame for fifteen minutes or till rice is well cooked. Serve hot with mint Raita, pickle and papads! The health benefits of rice are many. Rice is the staple grain for more than half the world’s population, especially Asia. Rice is becoming increasingly popular in other parts of the world as well. Rice is a great source of complex carbohydrates which give us the energy we need. According to FAO (Food and Agriculture Organization of United Nations), rice provides 20 percent of the world’s dietary energy supply. Rice contains all the amino acids essential for building and maintaining muscle tissue, and make up antibodies, enzymes, and hormones. These amino acids also help maintain healthy skin, hair, eyesight, and nourish the heart, lungs, tendons and ligaments, brain, nervous system and glands. Rice is low in fat, cholesterol, and sodium and hence makes a perfect food for those with high blood pressure and requiring a low-sodium diet. The calcium in rice (especially brown rice) helps lower blood pressure. Hi friends ! Looking for an easy yet tasty Kulfa/Purslane recipe? Learn how to make Kulfa/ Purslane Bhurji using healthy ingredients.We love Kulfa ki bhurji . Kulfa / Purslane has thick and spongy leaves, and reddish stems, both of which are edible. Although purslane is considered a weed in the United States, it may be eaten as a leaf vegetable. It has a slightly sour and salty taste and is eaten throughout much of Europe, the middle east, Asia, and Mexico. The stems, leaves and flower buds are all edible. Purslane may be used fresh as a salad, stir-fried, or cooked as spinach is, and because of its mucilaginous quality it also is suitable for soups and stews. Australian Aborigines use the seeds to make seedcakes. Greeks, who call it andrakla (αντράκλα) or glystrida (γλυστρίδα), use the leaves and the stems with feta cheese, tomato, onion, garlic, oregano, and olive oil, add it in salads, boil it or add to casseroled chicken. In Turkey, besides being used in salads and in baked pastries, it is cooked as a vegetable similar to spinach. In Albania it is also is used as a vegetable similar to spinach, mostly simmered and served in olive oil dressing, or mixed with other ingredients as a filling for dough layers of byrek. 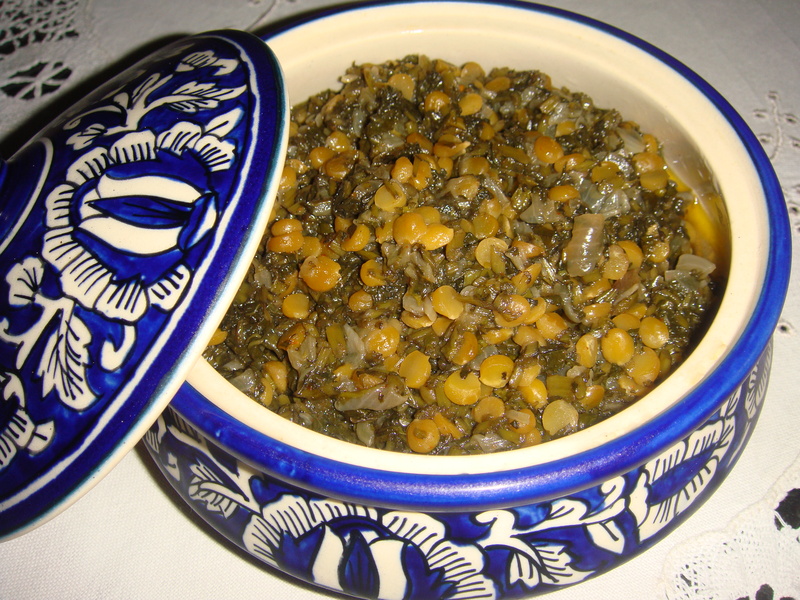 In the south of Portugal (Alentejo), “baldroegas” are used as a soup ingredient. 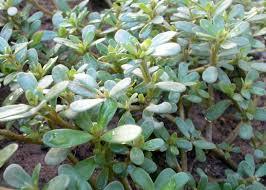 Purslane / Kulfa is actually a super food. High in omega 3 fatty acids, purslane also possesses a variety of other nutritional benefits. Making appearances in farmers’ markets and even fancy restaurants, purslane should also become a household staple, as it is a potent health remedy. Often labeled as a “weed,” purslane is actually a succulent herb. The plant is formally known as portulaca oleracea and less affectionately called little hogweed. The plant looks similar to the common jade plant and generally has fleshy, round leaves growing from a thin stalk. The flavor components alone are often enough to make individuals try the herb. The leaves are the most important part of the plant and offer a moisture-rich bite similar to the crispness of a fresh cucumber. The leaves also render a note of lemony tang with a bit of a peppery finish. Taste is not the only reason to eat this plant, however. It is considered by many as “a miracle plant.” Purslane / Kulfa literally has the highest level of omega 3 fats than any other green plants. It also boasts an assortment of other vitamins and nutrients. Heat the oil in a wok / kadahi / pan add asafetida / hing, sauté for few seconds till turns pink. Add onions and fry onions in hot oil. When onions turn light golden, add Kulfa / Purslane, washed Chana dal / Bengal gram split, red chili powder and salt. Mix well, sauté for a minute. Cover and cook on low flame till Chana dal / Bengal gram split is well cooked. Switch off the stove. Serve hot with steamed white rice or any Indian bread of choice. In addition to its nearly 400mg of omega 3 fatty acids per serving, purslane also offers a variety of other nutrients. The tender, leafy plant also possesses a number of nutrients including vitamin A, vitamin C, vitamin E, iron, calcium, manganese, magnesium, and potassium.These nutrients make the plant an effective herbal refreshment for health and wellness. Its high concentrations of omega 3 fats make it an effective treatment for boosting heart health, lowering blood pressure and cholesterol, and controlling symptoms of attention deficit-hyperactivity disorder (ADHD) and autism. Its nutrient profile also make it an effective treatment for diabetes, asthma, migraines, and osteoporosis. The herb can even prevent cancer, promote skin health and boost immunity. While labeled by the U.S. Department of Agriculture as a “noxious weed,” Kulfa / purslane is actually a beneficial health supplement. Above all, it is a taste and treat combination ! Wash Sabudana/ Sago well. Soak in 4 cups of water over night . Drain out the water with a strainer, spread it on a paper kitchen towel for drying for ten minutes. To avoid sticky or lumpy khichadi, it is necessary to dry out the water very well. Sabudana / sago grains should be separate and moist. Roast peanuts on a hot griddle, peel off the skin and then grind coarsely.Keep aside. Wash green chilies, and coriander, chop finely . Peel and cut the potato into tiny cubes and keep aside. Heat the oil in kadahi / wok or a heavy bottom pan and add Jeera, when it starts crackling, add Curry leaves /kadhi patta , red chilies and fry for few seconds, add the potato cubes. Cook till the potatoes are done. Add sabudana, roasted peanuts, salt, and chili powder, mix well . Switch off the stove, sprinkle the lemon juice and mix well. Garnish the khichadi with finely chopped coriander leaves. Sprinkle lime juice and chopped coriander leaves on the khichadi, mix well. Serve hot garnished with the finely chopped green chilies. The Saboodana/Sago should be well soaked. Use a strainer or a colander to drain the water. Excess water in saboodana vada mixture will make it difficult to handle the mixture while making vadas . For better taste use roasted ground nuts. For best results Saboodana vada should be fried in a moderately hot oil till light golden on both sides. Sago or sabudana or tapioca pearls is a food which is full of energy and carbohydrates. It is extracted from the center of sago palm stems in the form of starch. It is also known as tapioca pearls. If is one of the wholesome diet of starch and carbohydrates and is used in a lot of Indian dishes. Sago is used in puddings, gruel or soups, and upma dishes. In gruel form, it is used in various carbonated drinks to provide energy without any addition of artificial chemicals and sweeteners. It is one food which possess a high cooling effect in the system and it is quite easy to digest. It is also used in making cakes and breads. Sago is helpful as a substitute in binding the dishes or making them thick. It is low in calories and is preferred as a light meal option. Aid in digestion: Pearl sago is used as one easily digestible non-irritating baby food, as well as a food in inflammatory cases. In such cases, sabudana is boiled with milk or water and then added with sugar or spices to enhance the flavour. Nutritional value: Sago grains are about 2mm in diameter. They are a source of pure carbohydrates with very little protein, vitamin C, calcium and minerals. A hundred gram of dried sago yields about 355 calories, with an inclusion of 94 gms of carbohydrates, fats and proteins. Sago and the body: The main content of sago is carbohydrates and has an ancient history in aiding to certain herbal medicines. Sago alongwith rice is used to cool the body. It is helpful in treating ailment resulting from too much heat, such as the production of excess bile. As we know it is a renowned food in Indian culture and moreover, it is a staple diet in some continents. The herbal remedy of sago is not hidden outside the Indian subcontinent such as Sri Lanka, New Guinea and other Asian pacific countries. Sago dishes: Various dishes are made from sago as it is easily mixed with wide variety of tastes and spices. However, sago is low in proteins, vitamins and minerals, its combination with other supplements can result into high nutrition and taste. 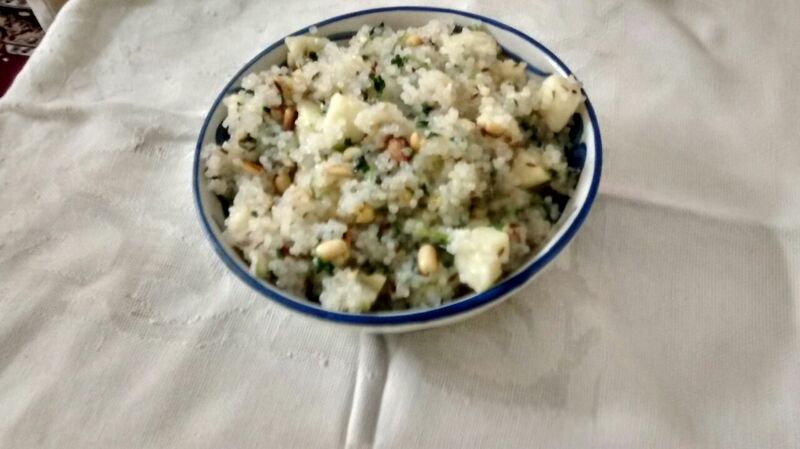 In various parts of India, it is used as fasting food in the form of khichdi or pilaf, soaked sabudana fried with potatoes and other vegetables. Sago possess a high usage in baking breads and pancakes. A high energy booster: Sago food is full of energy, and often served as a food to break the fast. It has high beneficiaries for sick people as a supplement providing enough energy to combat the weakness and ailments. Keep them in dry and airtight container. It should be kept away from moisture for long storage. The white pearls of sago becomes white when soaked in water and turns translucent when cooked. 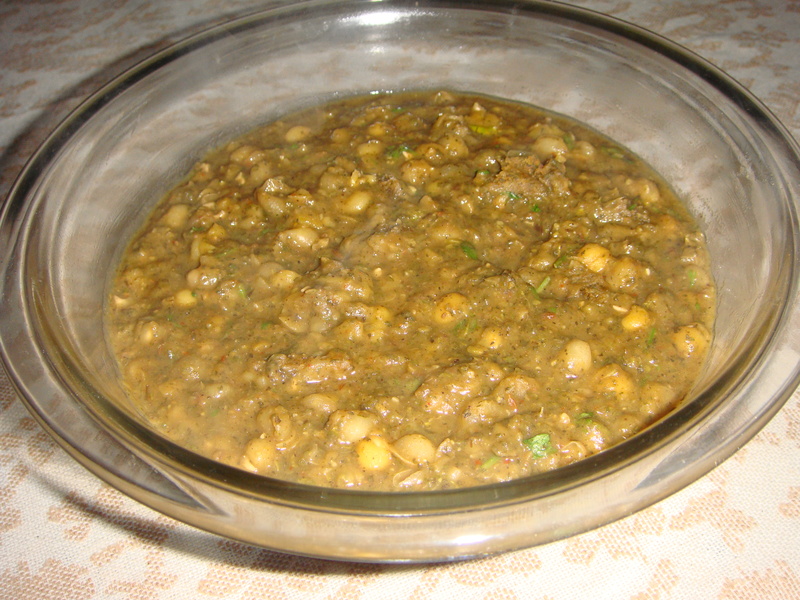 Fermentation may improve the nutritional value of sabudana. In Papua New Guinea, sabudana paste is partially fermented by mixing it in palm leaves,which are then stored in cool place. Therefore, a lot of recipe with high in energy, you should not be missing it. As experiments can really turn it out in high taste value. Tomato macaroni is a delicious and simple Indian way of enjoying macaroni with few select spices and fresh tomatoes and onions . The boiled macaroni is tossed with onion, tomato, and served hot, with garlic bread. It is a fusion cooking. In a sauce pan boil 500 ml water, 1 tbsp oil (because of the oil the macaroni doesn’t stick together after boiling), when the water starts boiling, add macaroni, let it boil for 3-4 minutes (macaroni is approx. 90% cooked). drain and keep the macaroni aside. Heat oil in a heavy bottom pan, add finely chopped onions, sauté the onions till light golden in colour. Add pureed tomatoes, chili powder , salt and cook till tomatoes are well cooked (approx. 10-15 minutes on low flame) and well blended. Take a heavy bottom pan add the all purpose flour/maida , dry roast on medium flame for 2-3 minutes. Pour milk gently in to the pan and keep on stirring. Mix flour and milk and on medium flame continue stirring till sauce starts getting thickened slowly. Add grated cheese, pepper and oregano, chili flakes and mix well. When the sauce starts to thicken and reaches to thick pouring consistency, fold in the pasta and sautéed vegetables mix well. Switch off the stove. Add chili flakes, Oregano , add tomato ketchup cook for few minutes more. Fold in boiled macaroni gently and add prepared white sauce, mix well till gets blended well . Switch off the stove.